Trick or treating can be a daunting prospect for children with autism. A few tips for a happy Halloween. 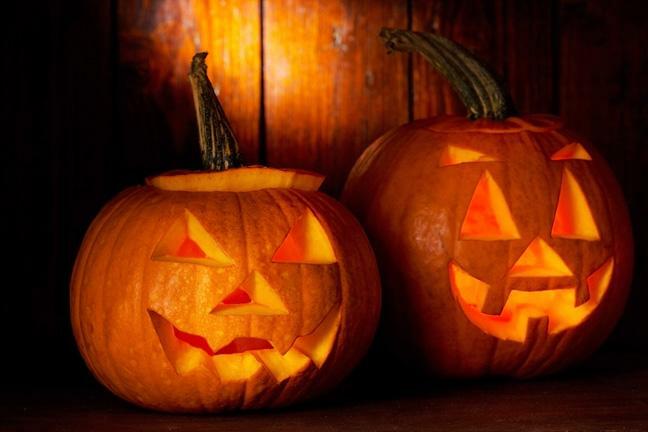 For some children with autism, Halloween can be stressful and demanding. Both my sons Patrick and Angelo have always loved Halloween. 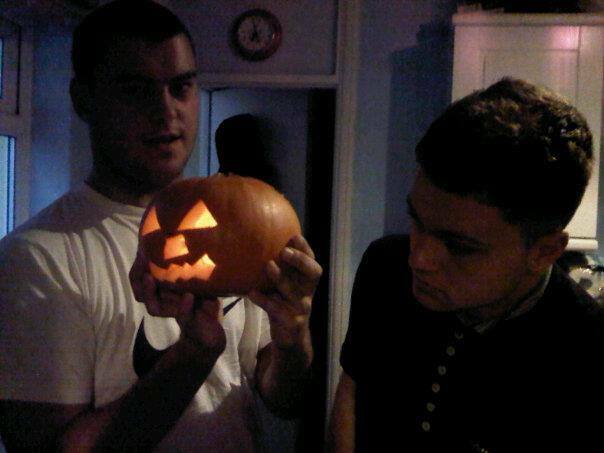 Every year we design a pumpkin face and buy sweets to give the trick or treaters. Patrick enjoyed dressing up when he was younger. One particular year I made him a dinosaur costume out of cardboard and crepe paper. He thought it was wonderful and wore it in the evening for a whole week! At our schools for children with autism, the children celebrate Halloween by baking cakes and making masks and lanterns. We also talk about the day to explain what will happen, depending on the level of understanding of the children at the schools. Discuss and decide together what costume your child will choose. Take into account not only his or her preferences, but also sensory concerns, for example a Spiderman costume may include a full mask – which can become overwhelming. Some children love face paint, but others can’t take the sticky sensation. Make a plan that you can stick to. Choose a time to leave the house. Discuss what will happen when you come home – can they dump their sweets on the floor? What may he or she eat? Knowing your child, how can you expect them to react? If they can handle just one house, that’s fine. Create a social picture story. Use digital photos, images from the web, or other sources to show and tell exactly what your child will do. Include all the steps, not forgetting that they must knock at the door, say “Trick or Treat!” and “Thank You!” Read the social story together, not once but as often as possible. From time to time, also ask – “what if no one is home?” Help them understand that it’s ok to skip a house, to take a treat from a basket (if that’s ok with you), and so on. Put on the costume many times before the ‘Big Night’ and work out any unpredictable situations, such as a stuck zip! 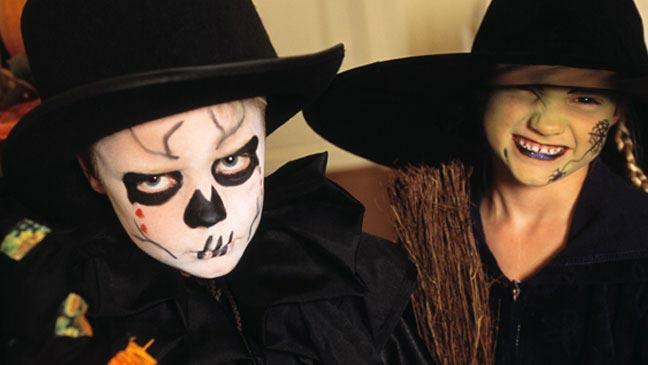 Role-play the entire trick or treat scenario as often as you can. Act out a number of scenarios so your child has a small repertoire of possible responses. – What should she say when someone says “You look beautiful (or scary or creepy)!”? – What if you don’t like the treat that’s offered? What if you meet kids you know? – Check out the area of where you live ahead of time. Do you see any decorations that might upset your child e.g. some children with autism are frightened of balloons? – Are there any flashing lights that might trigger sensory reactions? If so, consider skipping that house (or visiting ahead of time) to avoid meltdowns. Consider recruiting peer support. If your child with autism has no siblings (or his siblings have other plans), consider recruiting another typical peer to go house-to-house with you. Explain to that child and his parents that he will be helping your child to understand Halloween a little better. You may be surprised at how helpful another child can be! On the big night, remember to be flexible. If your well-prepared child suddenly rebels against his costume, consider letting him go in just a silly hat. Remember that Halloween is for fun – and it really doesn’t matter what he wears or how many homes he visits. Take pictures. Get excited. Have fun! Even if you’re only going to one house, make it an event. When you’re done, put together a memory book that can help you prepare for next year. 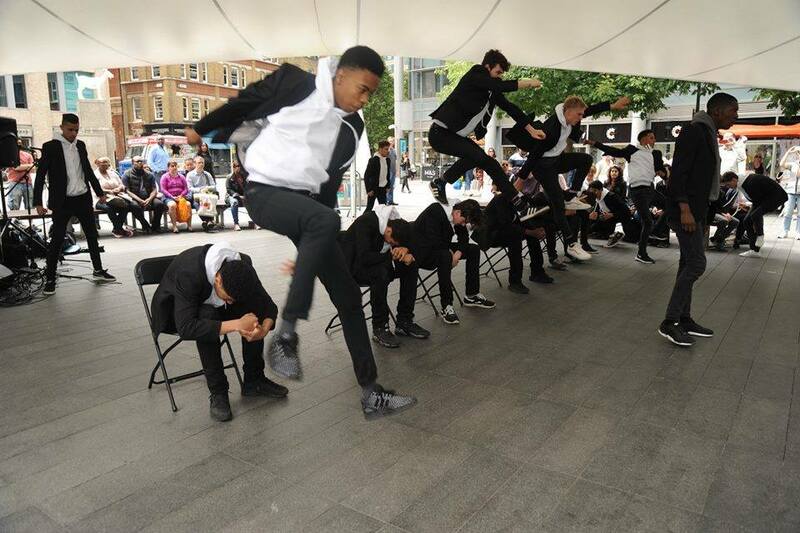 ‘Make your Move‘ Dance Competition. Winners of the Heat on April 2 will compete in the final at O2 Whoop! Wear it for Autism Calender is here! 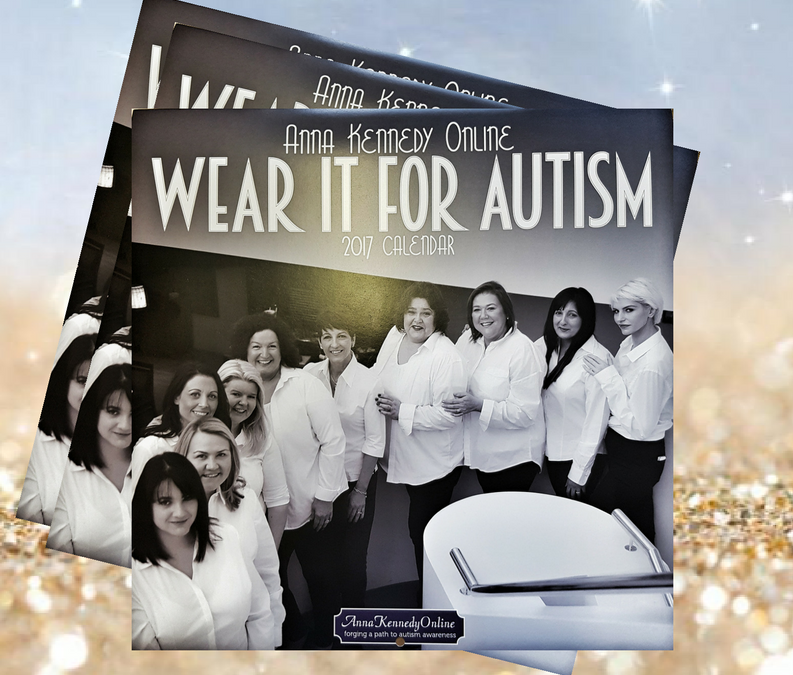 Anna Kennedy Online, UK Autism Charity has unveiled their (first ever) 2017 calendar, ‘Wear it For Autism’. Photographed at the Millennium Hotel, Knightsbridge, by top photographer Fiona Whyte, the calendar celebrates 10 mum’s, all who have a child on the autism spectrum. The calendar features 12 glamorous black and white photographs, of each woman dressed up as a famous pin up figure through the ages, as well as two group shots. These include Cameron Diaz, Liza Minnelli, Christine Keeler, Vivien Leigh, Betty Boop, The Weather Girls, Mother Earth, Ann Bancroft, Morticia Adams and Madonna.The photos were out of their comfort zones however, they supported each other and had fun! “This is an exciting new project for the charity, and everyone involved. Anna Kennedy Online strives and thrives on the positive promotion of autism. Our first calendar celebrates mum’s and the tireless and selfless efforts and sacrifices they make to create a better world for their loved ones. It is only right that we make them into stars.” – Anna Kennedy OBE, Founder of Anna Kennedy Online. Steven Smith, celebrity stylist and Charity Patron led this calendar photo shoot. Steven, alongside Anna Kennedy dedicates the calendar to a number of family and friends who live with autism everyday. 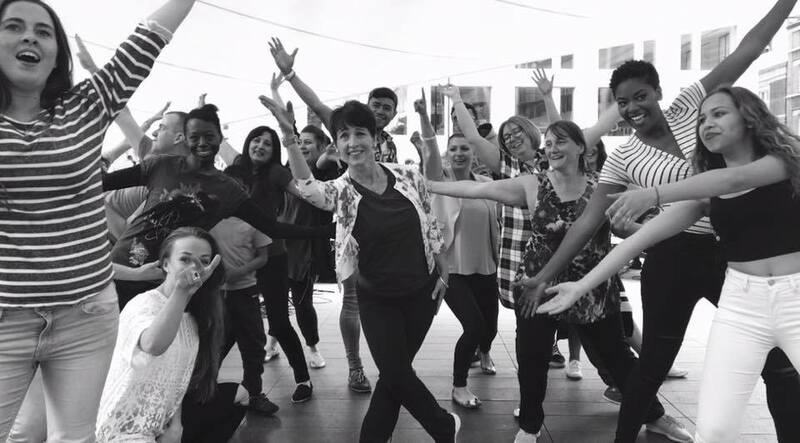 Anna Kennedy Online was formed in 2009 by Anna Kennedy OBE and has become ome of the leading autism charity in the UK, and is dedicated to promoting the inclusion and equality of children and adults on the spectrum. Anna Kennedy OBE is mother of two sons Patrick and Angelo, who are both on the autism spectrum. The calendar costs £10 including postage with all proceeds donated directly to the charity. It is an extension on the current events hosted by Anna Kennedy Online, and focuses on promoting autism in a positive and empowering light.